BETHLEHEM (Ma’an) — 700 British artists have signed a pledge to boycott Israel as long as it “continues to deny basic Palestinian rights,” the latest major success for the global Boycott, Divestment, and Sanctions of Israel movement. “In response to the call from Palestinian artists and cultural workers for a cultural boycott of Israel, we pledge to accept neither professional invitations to Israel, nor funding, from any institutions linked to its government until it complies with international law and universal principles of human rights,” the call reads, according to the group Artists for Palestine UK, which organized the pledge. The signatories include artists from many fields, including writers, film directors, comedians, musicians, actors, theater directors, architects, and visual artists. The pledge’s supporters included many British citizens of Jewish heritage as well, including prominent actress Miriam Margolyes. “My support for the Palestinian cause is fiercer because I am Jewish and I honor the strengths of that religion and the suffering my people have experienced through the years. My visits to Palestine showed me at first hand how the people there are treated by Israeli forces. Their lack of humanity disgusts me — I want no part of it,” she said in a statement. Former head of the English PEN writers’ union, Gillian Slovo, compared his support to the boycott of Israel to the boycott of South Africa in a statement. One hundred of the artists who signed the pledge also published a letter in the Guardian newspaper on Friday explaining their decision. “Israel’s wars are fought on the cultural front too. Its army targets Palestinian cultural institutions for attack, and prevents the free movement of cultural workers. Its own theater companies perform to settler audiences on the West Bank — and those same companies tour the globe as cultural diplomats, in support of “Brand Israel,”‘ the letter noted. 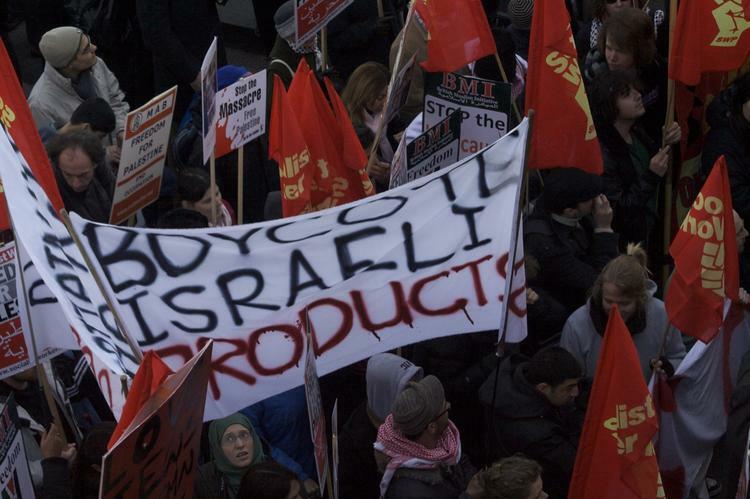 The boycott movement has grown increasingly strong in recent years around the world and particularly in Western Europe and North America, once bastions of support for Israel. The Palestinian call for Academic and Cultural Boycott, which was launched in 2004 as part of the global BDS campaign, aims to pressure Israel to end its long-standing occupation of the Palestinian territories and history of human rights abuses against Palestinians. Supporters argue that thus far outside political pressure and domestic left wing organizing has failed to effect change in Israeli policies, but believe a grassroots civil society movement to pressure the country’s authorities could effect meaningful change. The boycott targets official and institutional collaboration with Israel or Israeli-government funded institutions, but does not sanction individual Israeli artists, a fact noted by some of the signatories of the British boycott letter. “The choice not to present work in Israel is not an attack on Israeli artists, but rather a recognition that the thing you do may not be appropriate in a situation of ongoing violent conflict, and that to ignore that is to support the idea that everything is under control and life and culture continue as normal, while bombs fall,” choreographer Jonathan Burrows said in a statement.